Ambulances from Brighton are being diverted to hospitals in Worthing and Eastbourne due to IT problems. Ambulances are being diverted from Brighton & Sussex University Hospitals NHS Trust facilities to Worthing Hospital in Lyndhurst Road, Worthing, and Eastbourne District General Hospital in Kings Drive, Eastbourne, after their IT system went down this morning. 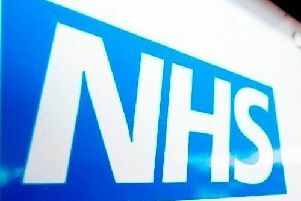 In a tweet this morning, Brighton & Sussex University Hospitals NHS Trust said: "We are currently experiencing internal issues with our IT systems. This has also affected telephone lines. If you are trying to call us, your call may not be answered. We apologise for any inconvenience caused." They added that if someone had an outpatient appointment scheduled for today, they should attend as normal but there may be some disruption. Brighton & Sussex University Hospitals NHS Trust includes Royal Sussex County Hospital in Eastern Road, Brighton, the Princess Royal Hospital in Lewes Road, Haywards Heath, and the Royal Alexandra Children's Hospital and Sussex Eye Hospital, both also in Eastern Road, Brighton.